Winter wardrobe without leather coat can be futile, thus here are some fantastic ideas and considerations you need to check out before buying this classic apparel. No other outerwear piece compliments the versatility and attitude of a classic leather coat. It the perfect item for every member of the family. It not only last for years but can a right clothing item in terms of style, trend and personality as well. You can easily mix and match it with cashmere or with jeans. Only you need to take little extra care by storing it on a proper coat hanger and wipe away the dirt or spills immediately. Below given are some concerns that you need to bear in mind about leather coat. Buying a leather coat can be an exclusive investment. Thus stretch your bank balance by opting with this timeless piece of style. 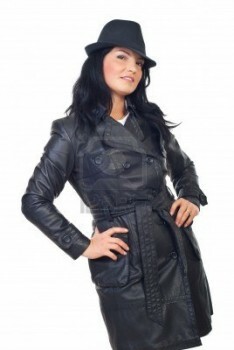 Medium length leather coat offers the most unique look and comfort. But other styles from bomber to maxi coats can work depending on your personality as well as lifestyle. If your financial plan allows it, then indulge on a leather coat that sets fashioning statement. Pick from sleek motor cross, shiny, mid length, retro-feel blazers, belted and studded leather coat or long trenches. These year’s hottest leather trends are actually flattering. 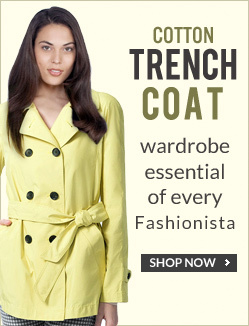 Longer leather coats illustrate slimness and height while the button front pockets and zipper options add visual height. Embossed, waxed and distressed pieces all add style flash to a usual hide. You can also go for bright or metallic dyes for inserting some glitz to your regular overcoat. Here, you can come across many fake materials other then genuine leather which tears off easily within certain span. Thus, always look out for quality hide. If you have set any budget for buying leather coat, then look out for online leather clothing store. Here, you can get chic designs and patterns that too at reasonable prices. Shopping at festive seasons is the best period to buy designer clothing items that too at discounted prices. It always better to browse through different online stores and tally the prices before you pay for any particular piece. Relatively leather is the easiest material to care for only if you take required preventive measures. Allow your favorite clothe to breathe. Before buying the leather coat, ask for its cleaning techniques. For major cleaning always prefer professional cleaners.